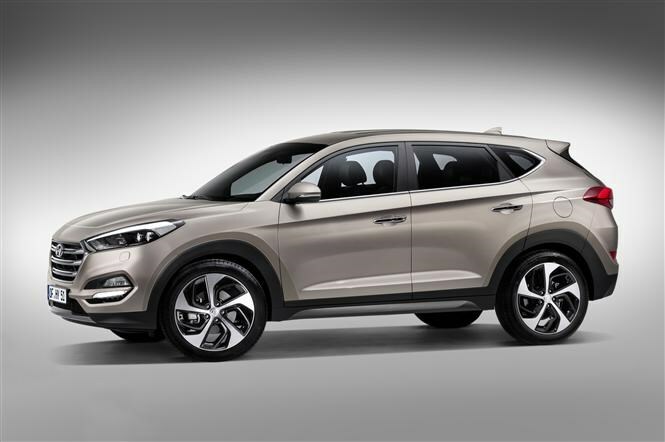 Hyundai has promised its all-new Tucson will offer customers the Korean firm's best ever levels of design, quality and technology. Based on an entirely new platform, from the outside the new SUV looks tough, with high body lines and a sleek, swept back profile. The A-pillar has been moved back and the horizontal lines flow along the body towards slim tail lights. 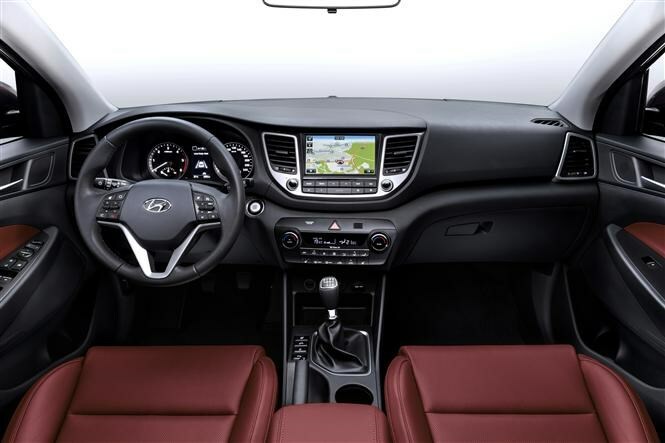 While the previous Tucson had a slightly drab and dated interior, Hyundai says the new model features soft-touch, high-quality materials, and has been tested extensively for ergonomic ease of use. Its interior dimensions look generous so it should be comfortable and airy for passengers. There is also space for 513 litres of luggage with all the seats up, and optional ‘Wine Red’ leather to enhance sophistication. The new car has taken a technological leap forward with heated and ventilated front seats, a powered tailgate and Smart Parking Assist System offered. An upgraded navigation system promises to be three times faster than the previous version used by Hyundai and comes with a seven-year free subscription to TomTom LIVE. Safety kit has been given a boost too, with an Autonomous Emergency Braking system triggering in the event of an impending collision, Lane Keeping Assist System which corrects the steering to keep you between the white lines, and Rear Traffic Cross Alert system, which uses radar to detect and alert to any approaching cross-traffic. A wide range of engines includes two 1.6-litre petrols, with either 133bhp or 174bhp. The more powerful engine can be paired with a seven-speed automatic or six-speed manual gearbox. The smallest diesel is a 1.7-litre with 114bhp and the other two are different tunes of the same 2.0-litre engine, with either 134bhp or a range topping 181bhp. 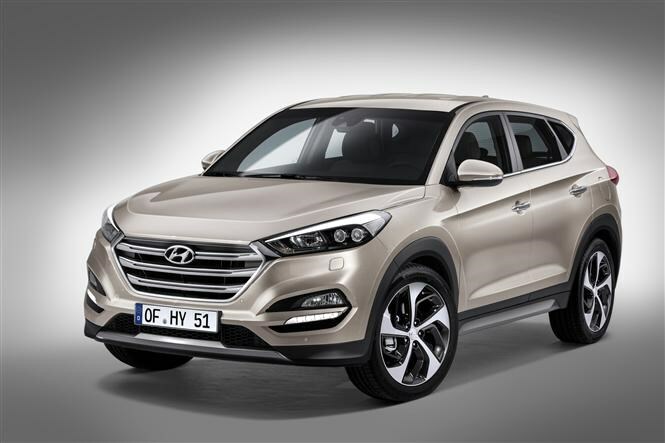 The new Tucson goes on show in March, after which we expect prices to be released. Hyundai says the car will then go on sale in the second half of 2015. 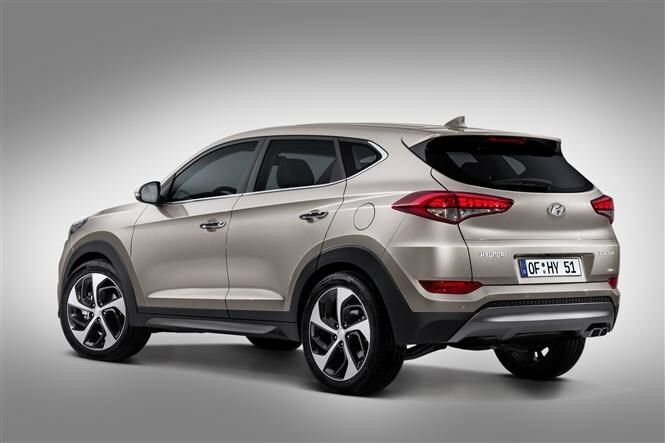 Did you know the most popular review for the Tucson range is the Hyundai Tucson review.